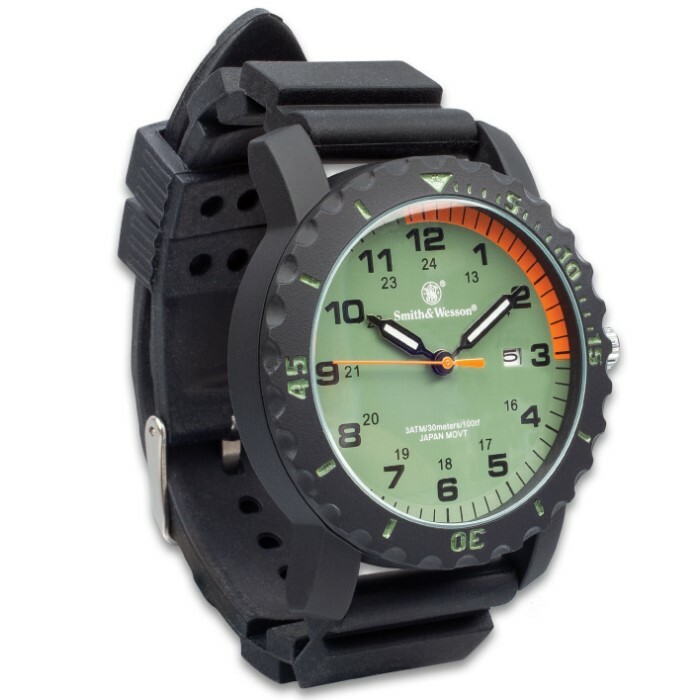 Smith & Wesson Grenadier Land And Sea Rescue Watch - Stainless Steel Back, TPR Band, Water-Resistant, Japanese Quartz Movement | BUDK.com - Knives & Swords At The Lowest Prices! 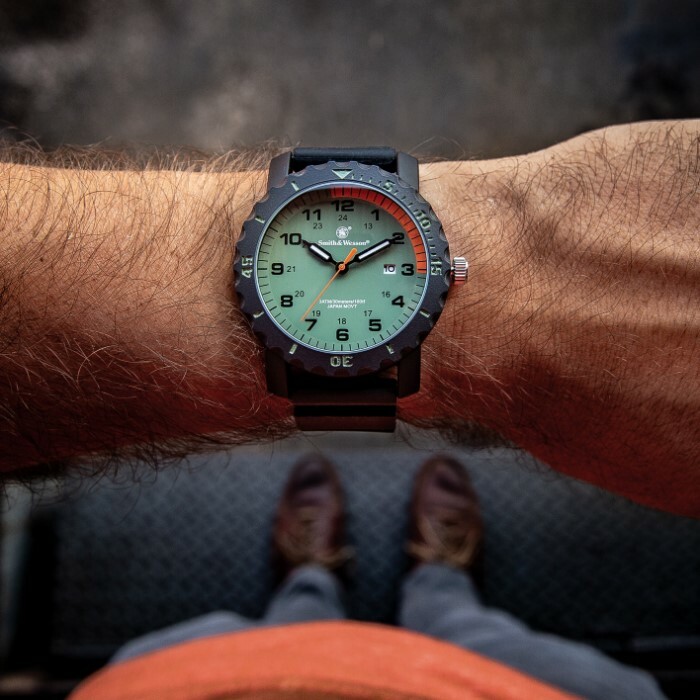 The Smith & Wesson Grenadier Land And Sea Rescue Watch is a great everyday wristwatch that can take the abuse you dish out to it in your daily adventures. When you are looking for reliability, Smith & Wesson has always got you covered. 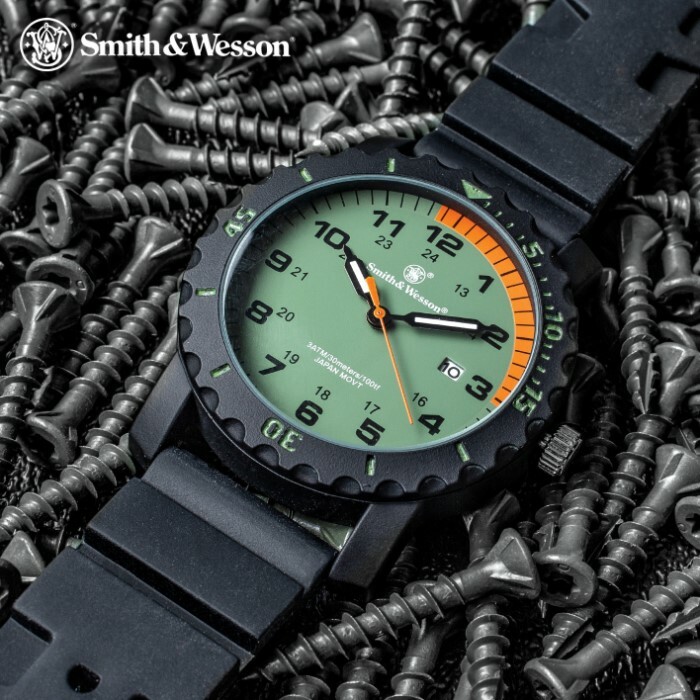 This watch is water resistant up to 100 feet and features precision Japanese quartz movement. It has large, easy-to-read numerals and a date window. 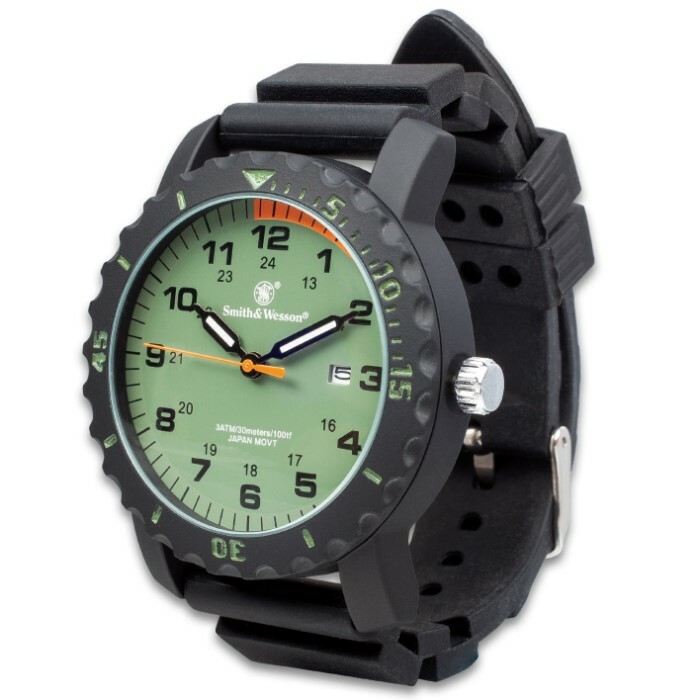 The durable black TPR strap, with a metal buckle for a secure fit, is both comfortable and sturdy. Good, solid feel, nice high-contrast face. Water-resistant, so I don't have to worry in the shower or rain. Only reason I didn't give it 5 stars is 1) band's a little short (I have it in the 3rd notch from the end & I don't have wrists like a wrestler) & 2) the date window is so small it's almost a "why bother"-but at least it doesn't take the place of the "3".